British travellers to some of the most popular destinations across Europe are facing long delays after revised border checks were introduced across the EU. Tighter immigration checks have resulted in long delays already at airports including Palma, Paris, Amsterdam and Madrid following the introduction of the new checks, which have been introduced to improve security following a number of terrorist incidents across Europe in the past twelve months. The changes affect those who live outside the Schengen area – a region where passport control has been abolished – and includes people travelling from the UK. Whereas in the past, a quick passport check was all that was required on both entry and exit to a country, the revised system will see each person from outside the Schengen zone checked against a range of special databases. Whilst that will understandably take longer than a quick visual check, a lack of additional staff at many major airports is only adding to the delays. 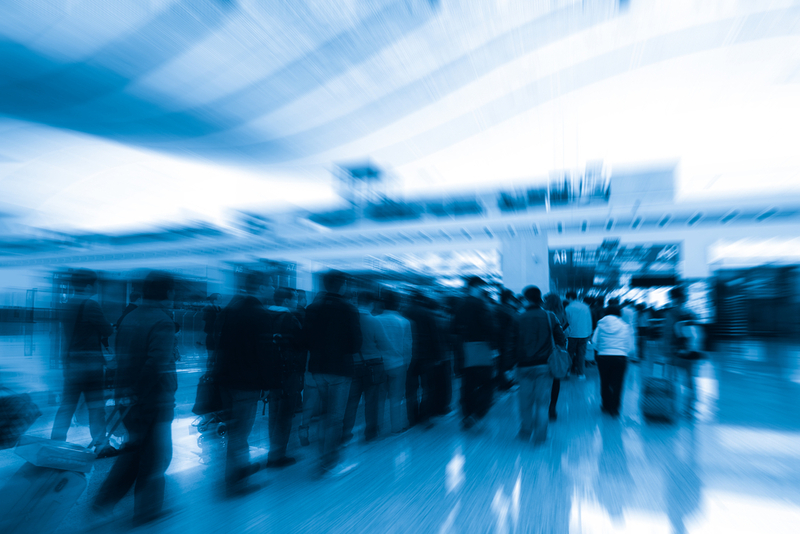 It comes as the travel industry reaches peak season, and means that delays of up to four hours are already being reported – with passengers missing flights as a result. EU member states have until October 7 to introduce the revised checks. Palma was madness in May - certainly wouldn't consider a holiday in Majorca now! Off to Malaga at the end of August and I hope we don't encounter this. Nothing is simple these days . We saw this when visiting Salou in June. We did think it was because of a hightened terror threat but was probably this. I stopped going to the USA 6 years ago due to the absolute disgrace of a system they have at that end. I've done 2 x 6 hour waits in Las Vegas and one 5 hour immigration que in Washington DC. Goddard1 "I stopped going to the USA 6 years ago due to the absolute disgrace of a system they have at that end. I've done 2 x 6 hour waits in Las Vegas and one 5 hour immigration que in Washington DC." Passengers flying out of Barcelona have been told to arrive at the airport at least three hours early as security staff take unofficial action that has caused chaos over the past week. Since July 24, 1,000 passengers have missed their flights because staff at El Prat airport have been carrying out a 'slow down' and taking 10 minutes to search each passenger, according to ACETA, the association of Spanish air transport companies. The situation is likely to get worse from Friday, when security staff increase their action to include hour-long strikes. I haven't had any problems at Vegas but we did have a very long wait in Miami where I was so glad we had had a long connection time. I had actually been advised before my trip to have an overnight there, which I thought was a bit over the top- until we were there! Arrived in Malaga 6th July and there was one guy at the passport point who started off checking passports. I thought we were going to be stuck there a long time. After about 10 minutes he gave up the ghost and started to just glance at the passports.... saying pase, pase, pase. Coming home, the airport was very busy with the amount of people going through security. Got to zone C and there was already a queue to go through passport control, it snaked quite a way back. Instead of a split second glance at your passport, there were two guys working who did take it from you, look at it and hand it back, so whilst it was slower than the pase, pase, pase approach, it wasn't too bad considering the amount of people in that airport. Thank you Sanji for your reply. Oh well we will just make sure we arrive at the airport early on the inbound journey. Funny thing is we travel to America every year sometimes twice and never had a long wait either getting into or out of the country. I dont see what the problem is...doesnt everyone arrive at least 2 hours before?..we usually get there 3 hours before the flight unlike some who are actually running to the departure gate while the rest of us sit there twiddling our thumbs. If its making flying more secure I dont care how long I have to wait. We were in Malaga in May...no problems whatsoever apart from some of passport checkers glum faces...one of the most efficient airports we have ever used.
" I dont see what the problem is...doesnt everyone arrive at least 2 hours before?.." If I timed to arrive at an airport 2 hours before a flight my husband would be totally stressed! He is so calm and in control with everything else. His thoughts are if you time to arrive close to the desks closing , you only have yourself to blame if there is a hold up along the way. We came back from Almeria in July. Arriving was no problem but coming back was disastrous. Passport checks were done at the departure gate for some reason. Boarding started 30 minutes before departure time and we were an hour late on take off, all because of the passport check. When embarking any flight you have your boarding card and passport checked together to make sure they match the correct name . Why ? Anyone could swap boarding passes in the main departure lounge once through security if the boarding pass and passport ( photo ID proof ) were not crosschecked . I got through Heathrow couple of years ago using my boarding card for the previous flight! ! I only realised that when I checked it to see what seat I was in. Scarey- 2 lots of checKS missed that. We are off to Faro next Summer via Brussels. Big enough gap between flights on the way out, but on the way back we have a 1 hr 25 minute gap between connecting flights. Normally wouldn't worry about it, but given we are going from a Shengen zone flight to a a non-Shengen flight, and the promise of serious delays, it concerns me greatly we'll end up missing the connecting flight with no more until the next afternoon. I wouldn't start worrying about next summer at the moment, hopefully by then more staff will have been employed and trained to carry out the new directives.